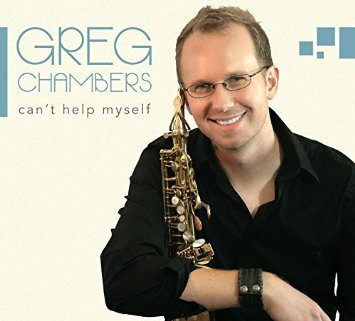 Life for Greg Chambers has certainly changed since the release of his EP, After Hours. His fans are eager, and the buzz is loud surrounding the August 1st release of his latest album, Can’t Help Myself. Chambers admits that it is a great feeling to know that the work you poured your heart and soul into is loved and well received by old and new fans. With this in mind and a clear direction, he embarked on a year-long process to make sure that each song was done the right way–an indicator that Greg will continue to make an indelible impression on smooth jazz, amongst his peers, and on his fans. Can’t Help Myself consists of nine original songs and two covers that Greg produced with Nate Harasim and Matt Godina. He also collaborated with Julian Vaughn, Paul Brown, and Nils. Chambers’ desire was for each song to have his its own identity. He went into the creative process for this album with three standards: each melody had to be on point, the performances had to be compelling, and it had to have dimension. The first radio single and album title Can’t Help Myself represents the aforementioned standards and was added to radio on July 21st. On the morning of our interview on July 22nd, Greg received an email that his single was the fourth most added on the billboard. With that in mind, I would say that Can’t Help Myself is off to a great start.